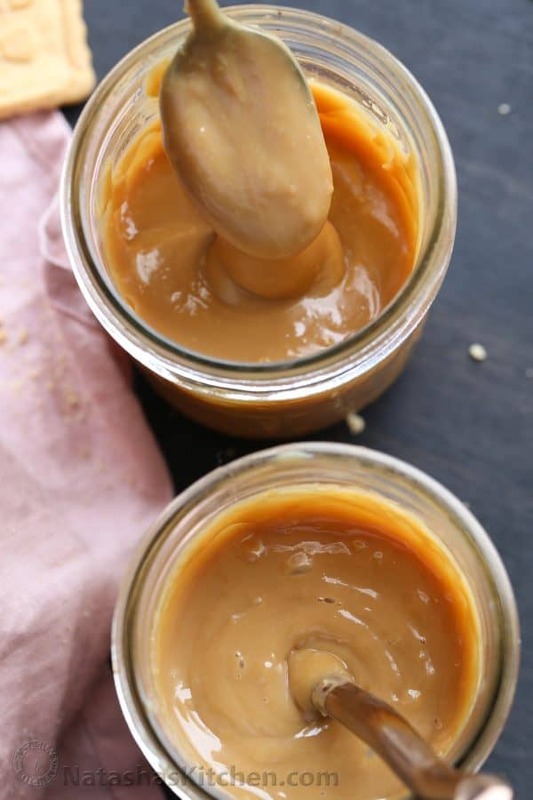 An easy 30-minute Instant Pot Dulce de Leche recipe. 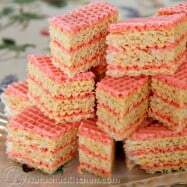 This is a 1-ingredient recipe! 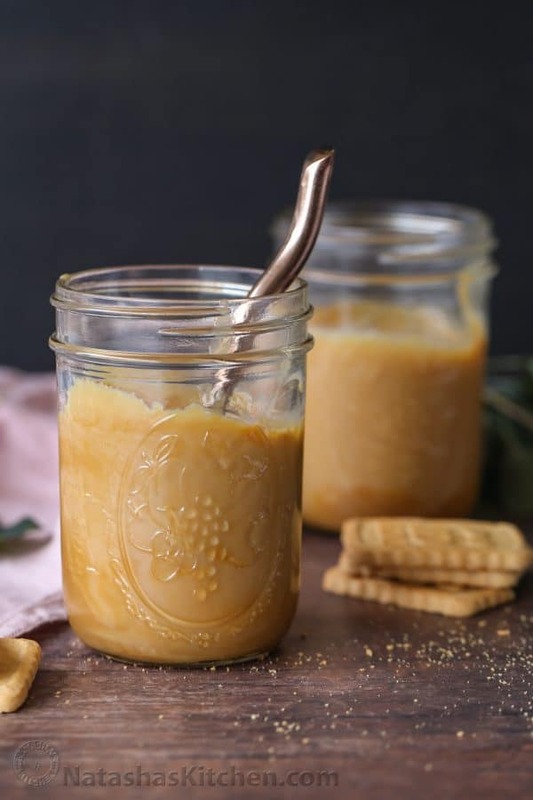 Sweetened condensed milk is cooked until it becomes a thick and creamy caramel-like indulgence you can use for many dessert recipes. P.S. 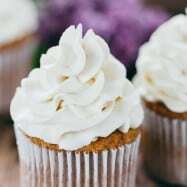 We added our Amazon affiliate links to our favorite tools used in this recipe. Hey, hey! Valentina with Valentina’s Corner here. I am really excited to share this recipe with you because it’s a lifesaver. 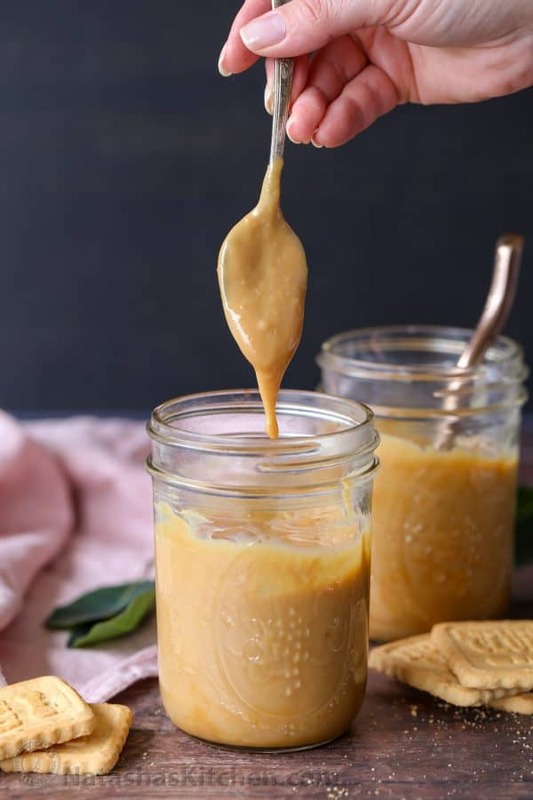 Growing up in a Ukrainian home, dulce de leche (cooked condensed milk or zgushchonka in Ukrainian) was a must-have in the home as we use it for many traditional recipes. We always had (and have) a few cans stored in the refrigerator. Dulce de leche is great in recipes like the easy and traditional Ukrainian Waffle Cake or fancier desserts like Raspberry Cake Roulade; each recipe using dulce de leche as a key ingredient. What is dulce de leche? We used to always prepare it with a slow cooker but that takes considerably more time. If you have an instant pot (pressure cooker), this 30-minute version is going to become your new favorite. You get the same results in a fraction of the time. How to make dulce de leche in an instant pot? 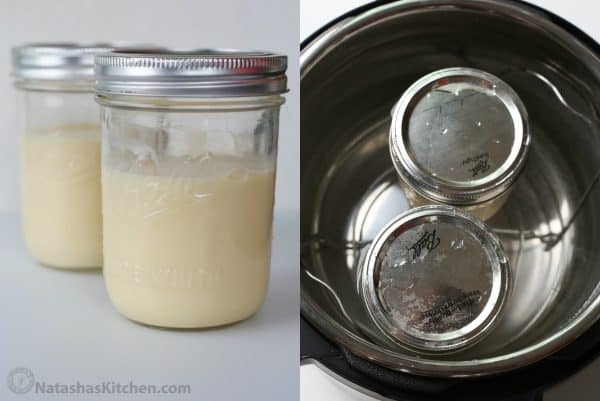 Pour sweetened condensed milk into mason jars. Secure with lids. Add the jars into the instant pot. Pour water into the pressure cooker just below the lids. Cook 30-minutes with a quick release of pressure. Cans will be HOT, remove them with a canning jar lifter . Cover jars with a kitchen towel and allow to cool. Don’t open the jars until they have completely cooled. NOTE: When removing the jars, the dulce de leche may seem runny and not fully cooked, no worries. It will thicken more as it fully cools. 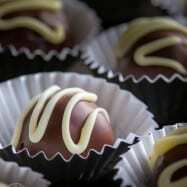 How long should I cook the condensed milk? 30-minutes cook time will result in a golden creamy dulce de leche. 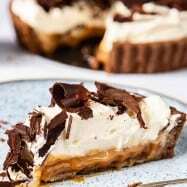 How to store dulce de leche? You can store the dulce de leche in the refrigerator in the jars 2-3 weeks. NOTE: You can fit up to three mason jars into a standard pressure cooker. If you need more than two jars, add another one when cooking. 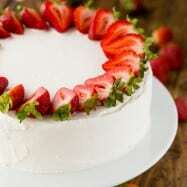 Russian Cherry Layer Cake- The cherry crumble is so good! Poppyseed Roulade- For the poppyseed lover! Layered Snickers Cake- Tastes just like the candy bar. 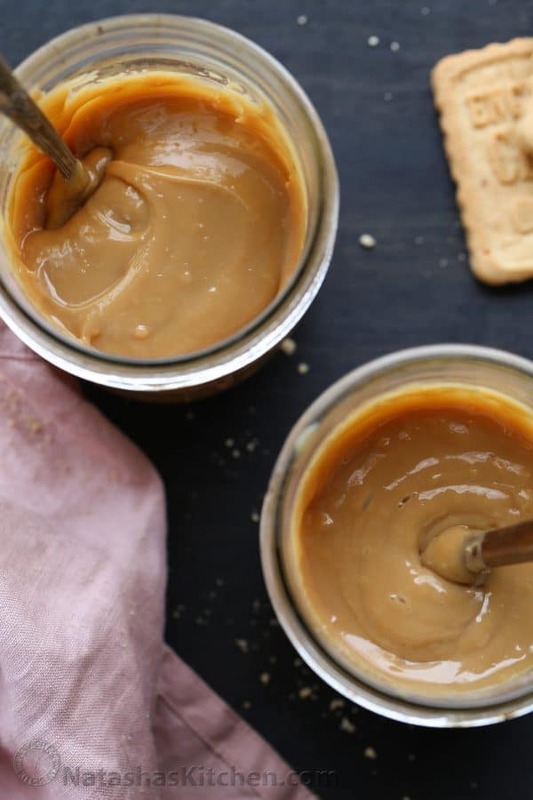 An easy 30-minute instant pot dulce de leche recipe. Sweetened condensed milk cooked until it becomes a thick and creamy caramel like indulgence you can use for many dessert recipes. Pour sweetened condensed milk into the mason jars. Secure the jars with lids and bands. Place the jars on the rack of your instant pot. Pour water into the pressure cooker just below the lids. Cook 30-minutes with a quick release of pressure. Cans will be HOT, remove them with a canning jar lifter. When removing the jars, the dulce de leche may seem runny and not fully cooked, no worries. It will thicken more as it fully cools. 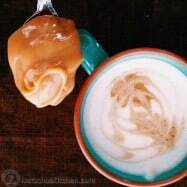 What is your favorite recipe using dulce de leche? I’d love to hear about it in the comments below. 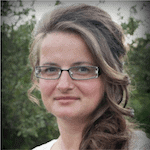 I am Valentina, the creator behind the food blog Valentina’s Corner where I share our family’s favorite recipes. When I am not in the kitchen, I enjoy spending quality time with my husband and 5 children. 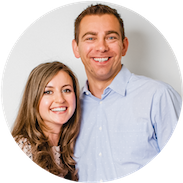 We invite you to join us on our blogging journey! I like mine really thick, so I put the tins at 15lb’s pressure for 40 minutes. The longer you leave it the thicker it gets!